We’ve previously discussed just how important having a properly installed and functioning drainage system in your parking lot is. But, we haven’t really discussed in detail what the purpose of your catch basin actually is, and why maintaining and repairing it is so important. 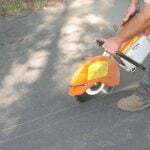 Your catch basin plays several roles in ensuring that your asphalt and property are protected. It literally catches and prevents contaminants and debris from entering your drainage system. Without a catch basin, debris like leaves, rocks, plastic, etc. could enter your drainage system and clog it, which could lead to damaging flooding. Your catch basin drain helps to collect excess water from your property. This collection prevents excess water from pooling in depressions in your lot. 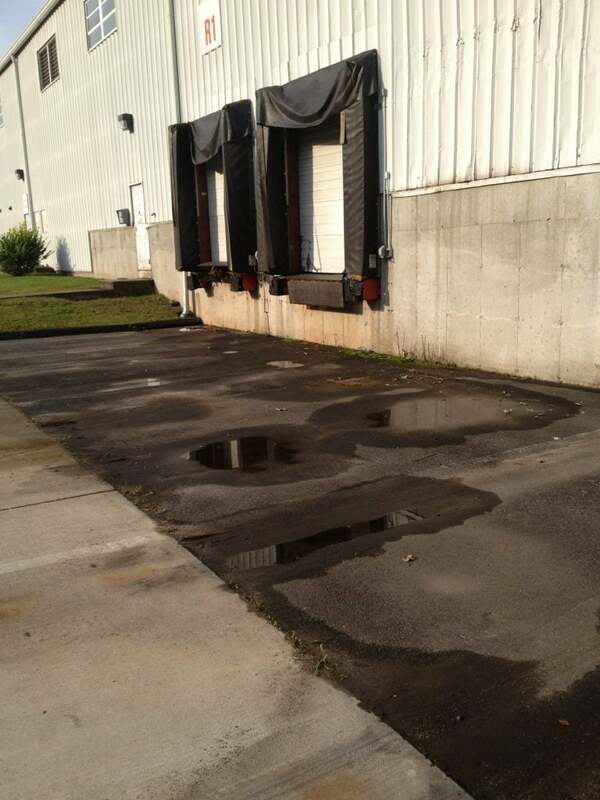 Water pooling on asphalt can lead to deterioration. It is not uncommon for the importance of catch basins to be overlooked, and often it is not until it becomes apparent that there is a problem (excess pooling in your lot or flooding) that their significance is realized. 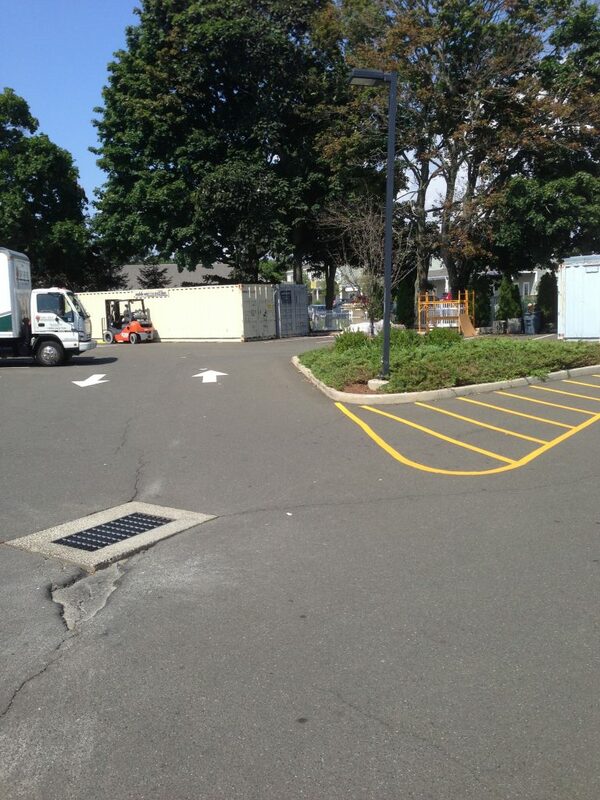 The most common sign of a failing catch basin drain is a large amount of pooling throughout your parking lot. 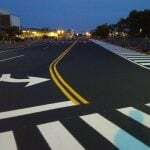 As we’ve discussed in detail in our blog; Water’s Effect On Asphalt Pavement Deterioration, pooling water is detrimental to your asphalt surface. Water will cause small cracks in your asphalt, that turn into bigger deficits the longer and more often they are exposed to water. Because of this, maintaining and repairing your basin drain (to avoid this damaging pooling) is extremely important. Something gets through the grate and clogs the system. Your catch basin is designed to prevent large debris from entering, but there is still a chance smaller debris can enter and buildup, causing a blockage. Erosion has taken place to the surrounding bricks/concrete that holds it in place. It is not uncommon for catch basins to need adjustments overtime. Cleaning your catch basin on a regular basis, and performing regular repairs around it, is key in preserving its longevity and ensuring that it is able to successful play its vital roles. Even if your catch basins look ok from above, it is important to participate in regular maintenance and inspections to ensure everything below ground is ok too. A sinkhole near a catch basin is often a sign that your basin drain is damaged. A sinkhole may also form in an area adjacent to your catch basins, which is likely due to corrosion or collapsing of the pipes that carry the water. 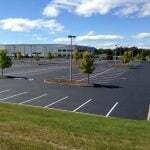 Proactively maintaining all aspects of your parking lot is important to help prevent bigger problems from occurring. As part of your regular parking lot maintenance, be sure that your professional is also inspecting, repairing, and adjusting your catch basins. A parking lot without a properly installed and effectively functioning drainage system can lead to complete asphalt deterioration. 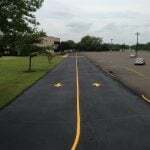 Contact EastCoat Pavement Services today for your free consultation, and ensure that your parking lot is fully inspected, repaired, sealed, patched, and ready for the cold, harsh months to come.